Arabian Travel Market (ATM), part of the World Travel Market portfolio, has boosted its executive team with the appointment of a new Portfolio Director, who has over 25 years of experience within the travel trade and hospitality industry. Claude Blanc takes on the overall responsibility for all events in the World Travel Market portfolio including, WTM London, Travel Forward, the International Travel & Tourism Awards, ATM, WTM Latin America and WTM Africa. He joins from his role as Chief Executive Officer at Paris-based Travel & Co, a tour operating group which he founded in 2007. Prior to this, he was Digital Travel Director for TUI group and has also held senior posts with travel management company Rosenbluth International and timeshare exchange company RCI. Commenting on his new role, Blanc said: “I am delighted to join such a respected, well known global brand, and to work with a team of seasoned travel industry professionals. 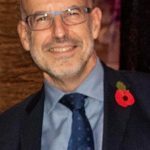 “Having been a sponsor, an exhibitor and a visitor at many travel trade shows, I bring a client perspective, an international network and a digital culture. “It’s an exciting time to come on board, as the WTM Portfolio is set to smash last year’s achievement of $7 billion worldwide industry deals. Blanc joins a team of accomplished travel industry veterans, and his expertise will further cement the wealth of travel trade knowledge and event experience across the entire WTM portfolio. 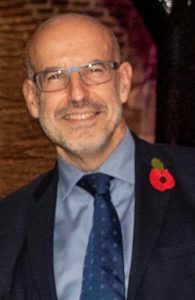 He will now report to Nick Pilbeam, Divisional Director, Reed Travel Exhibitions, a travel industry stalwart, with more than 17 years of FTSE 100 experience in the travel industry with corporate giants such as British Airways, Iberia and Avios. Commenting on the appointment, Pilbeam, said: “I am very pleased to welcome Claude onboard. He is equally comfortable working as a part of a team or leading from the front, he has in-depth knowledge of the industry and understands the geographical reach our portfolio covers. ATM 2019, taking place at Dubai World Trade Centre from 28 April – 1 May 2019, will adopt cutting-edge technology and innovation as its spotlight theme.